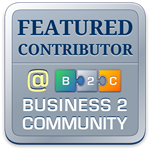 Matt Brennan has been published in ProBlogger, Business2Community, Addicted2Success, among other marketing websites. He’s helped several businesses improve their online and offline marketing materials as a marketing writer. View his author biography.